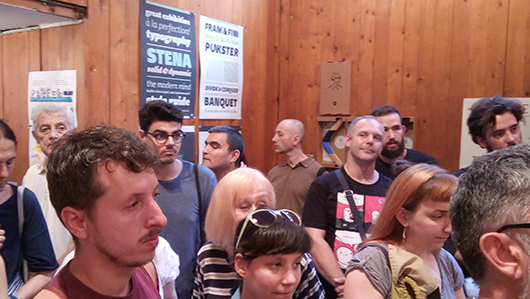 Exhibition of selected art works from 12th competition for best graphic design in Serbia, Montenegro and Republika Srpska in 2016 and 2017. 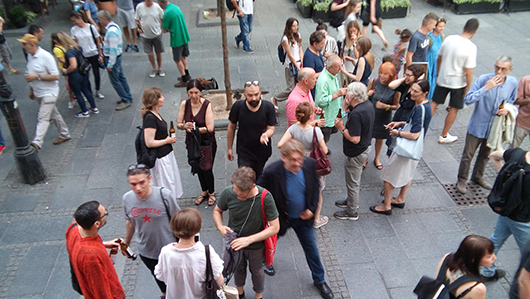 On Monday, June 11th an 7pm is opened 12th GRYPHON-exhibition of selected art works from 12th competition for best graphic design in Serbia, Montenegro and Republika Srpska in 2016 and 2017. 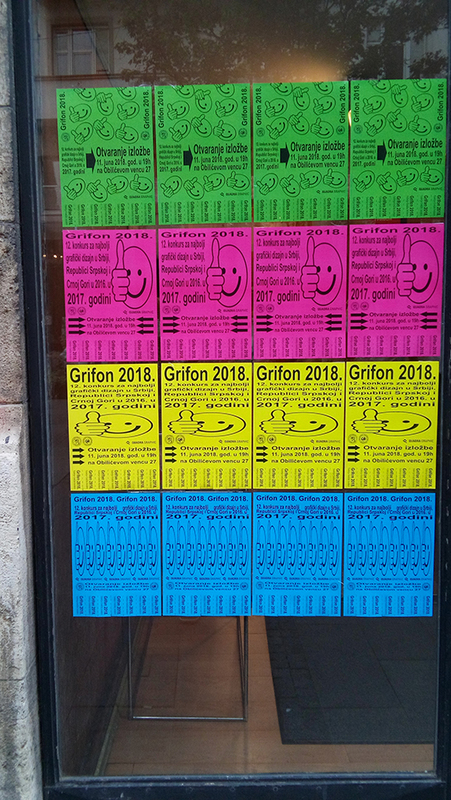 On this year contest for GRYPHON applied 62 authors with more than 170 art works. 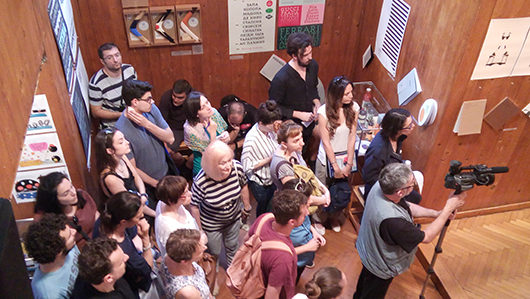 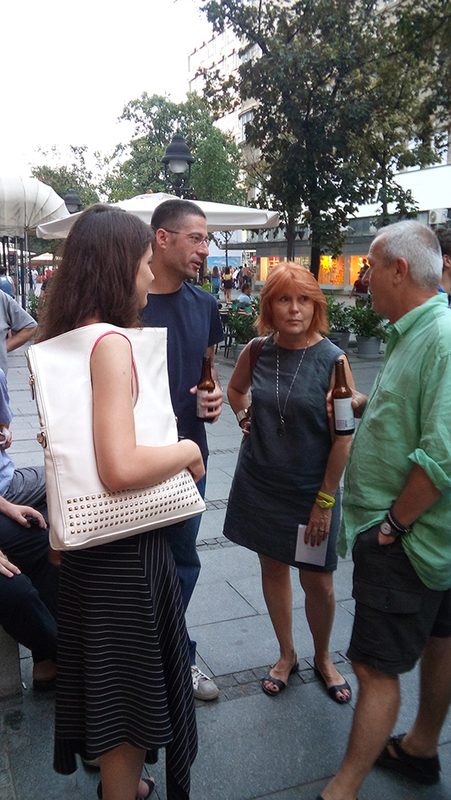 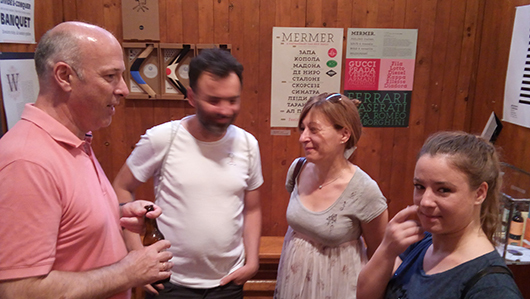 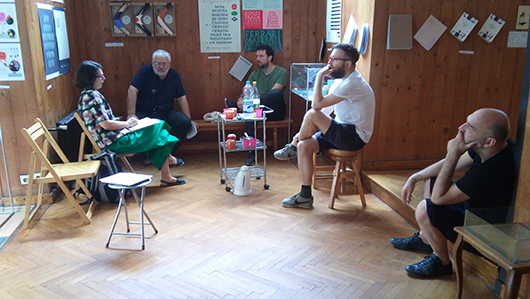 Selection committee: Andrej Dolinka, designer, Miroslav Karić, art historian, Dragana Lacmanović, graphic designer, Viktor Mijatović, graphic artist-graphic designer, Jovan Trkulja, creative director of the Peter Gregson Studio. 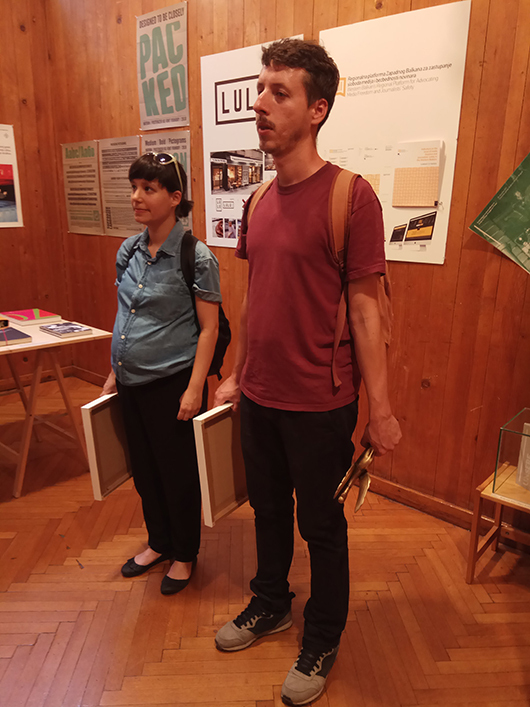 Commitee selected 33 authors and over 60 art works in categories: book and other publications, visual identity, posters and advertising, packing, typographic letter, promotional material and securities, film, video and TV graphics and web design. 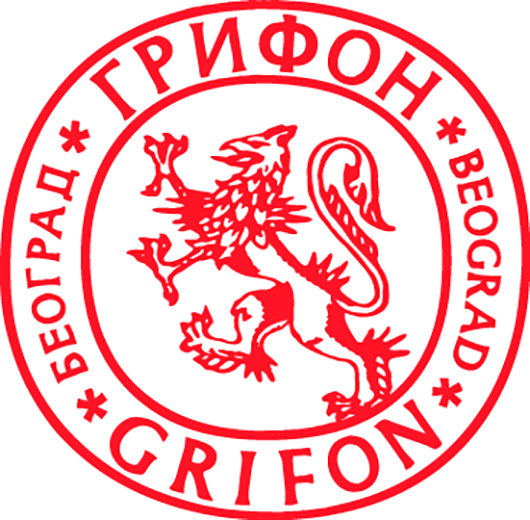 GRYPHON was founded in cooperation with the Printing House QUADRA 1996. with aim of stimulate and develop professional standards in the field of graphic design. 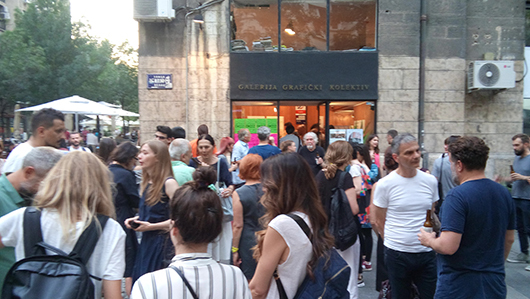 This biennal manifestation developed in a relevant spot for the evaluation of different poetics delivering practical insight in actual production of graphic design in Serbia, Bosnia and Hercegovina and Montenegro and authors who are with their origin / schooling / staying connected with this area. 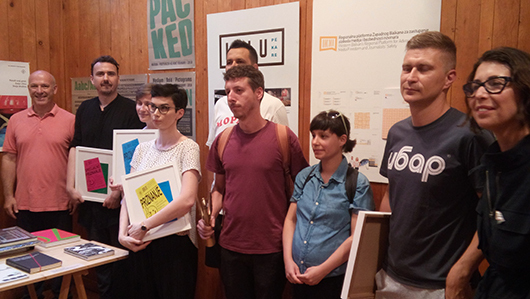 On the opening of the exhibition, GRYPHON award was delivered for the best art work by jury: Lazar Bodroža, visual artist, Milan Letić, art director of Peter Gregson Studio, Bratislav Milenković, illustrator, Miroslav Mušić, art historian and Isidora Nikolić, graphic designer. 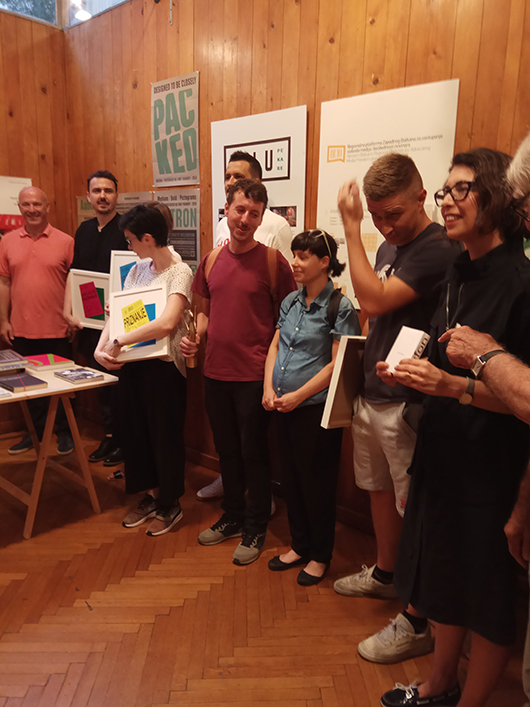 Award GRYPHON valorizes and recognizes best author’s art works of graphic design, which is confirmed by professional success of laureates: Miloš Ilić (1996), Vladan Srdić (1998), Borut Vild (2000), Goran Patlejh (2002), Slavimir Stanković (2004), Isidora Nikolić (2006), Igor Oršolić (2008), A3 format team (Filip Bojovic&Milan Rakic/2010), Jovana Budosan & Aleksandar Ilić (2012), Metaklinika (2014) i Peter Gregson Studio (2016). 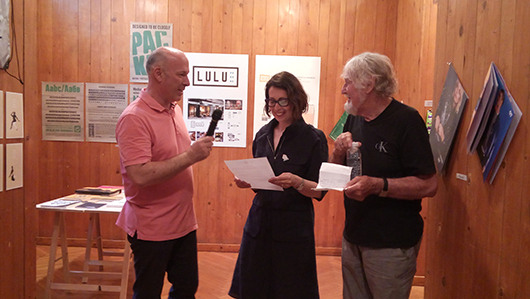 Jury decided that winner of 12th GRYPHON 2018. is Velimir Andrejević and Sofia Gavrilović for art work “Boomerang Stories, Short Stories & Flying Objects“. 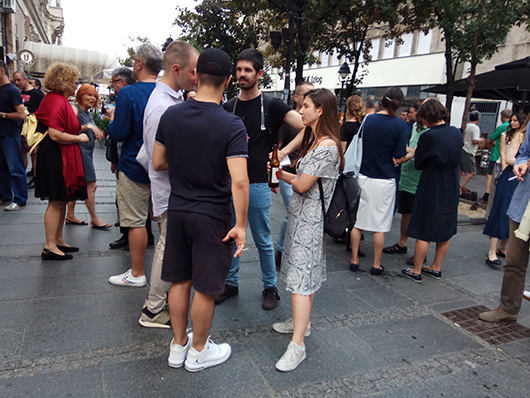 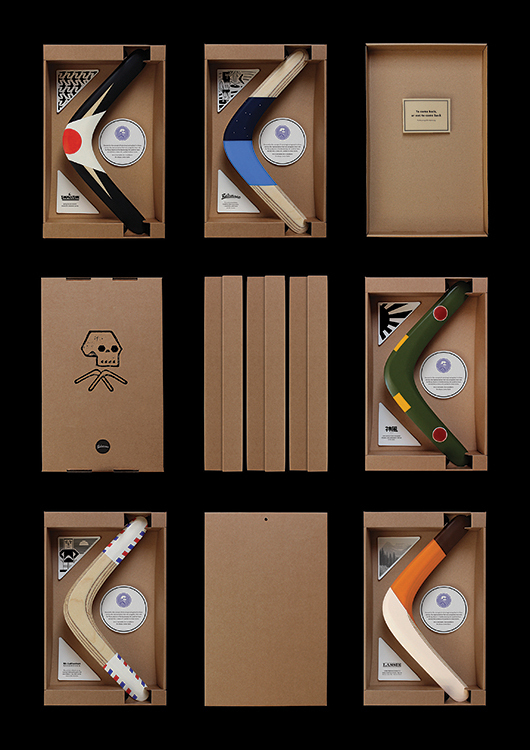 Art work of Velimir Andrejević and Sofia Gavrilović is connecting designer’s commitment, author’s accuracy from an idea to realization, graphic fetishism, but in context of nowdays maybe even most important- return to personal authorial initative like refreshing indicator of creativity on design scene. 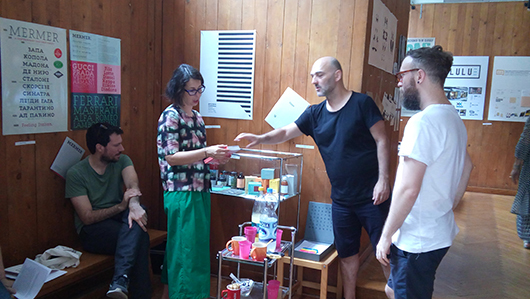 This art work overcomes conditionality between client and designer, requests of art market and maps the widest spectrum of values which profession should deal with. 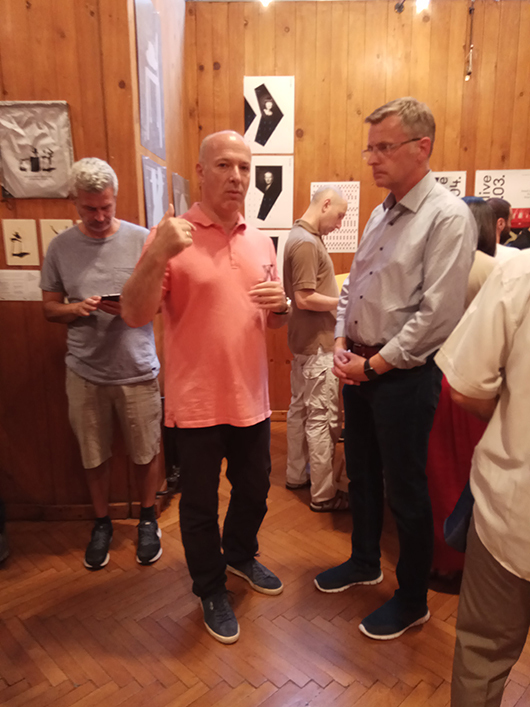 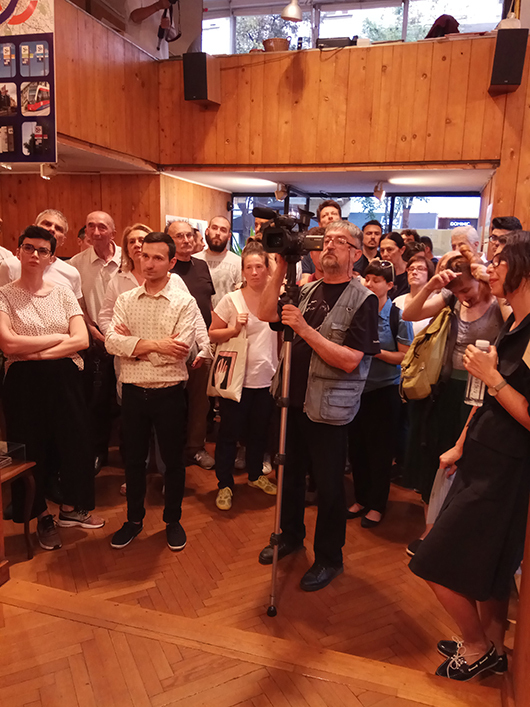 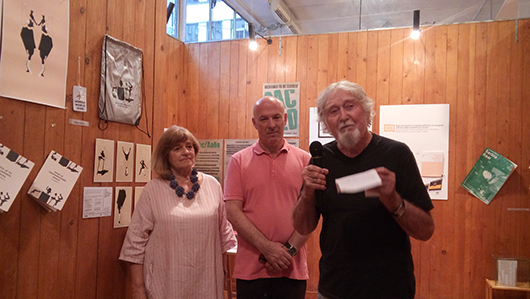 Special recognition assigned to Mane Radmanović for continuous autor’s contribution for graphic design in area of independent culture and contemporary art.